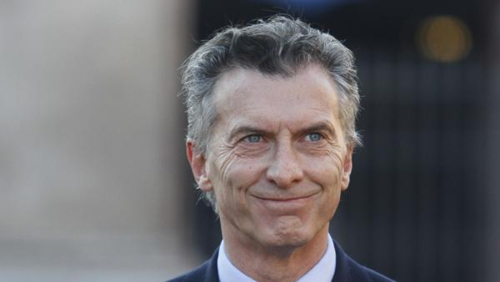 In December 2015, Mauricio Macri became the new president of Argentina. Washington was euphoric over his victory. Naturally this festive mood also permeated the US Embassy in Buenos Aires, where Macri has always been seen as «their man». And there is ample evidence that he isn’t exactly trying to conceal his trusting relationship with those American envoys. The clues include materials published by WikiLeaks, such as detailed reports by diplomats about their conversations with Macri, in which he in one case urged «the US to take a tougher public line with the Kirchners» and even predicted that Cristina Fernández de Kirchner would be forced out before the end of her presidential term. As expected, Macri arrived at the presidential palace and began an overhaul of state agencies, «cleansing» the government and mass media of Kirshner supporters. He explained these measures by saying that during the 12 years under the «populists» Néstor Kirchner and Cristina Fernández, the agencies of the executive branch of government had been filled with thousands of political appointees from the Front for Victory Party, a mix of Peronists, radicals, and socialists. These people are hostile to the neoliberal program Macri promised to introduce after taking office, and so he needs to get rid of them. Kirshner supporters and representatives of Front for Victory and its allies dominate Argentina’s National Congress – in the Chamber of Deputies and the Senate. Congress will return to work in early March, after a lengthy break, and Macri will have to demonstrate a miraculous level of flexibility and willingness to compromise in order to garner parliamentary support for his program. Is Macri prepared for this? That’s extremely doubtful. That is exactly why political analysts think the president began to govern the country by relying on «emergency» decrees. Currently more than four dozen of those are in effect. Rulings were pushed through to raise the rates for gas and electricity. Restrictions were lifted on peso-dollar exchanges. Mass layoffs of workers became a common occurrence, with no regard for the laws that limit arbitrary actions by employers. Anticipating public resistance, the president gave the police carte blanche to use force – including the use of rubber bullets – to suppress protests. Every day the Argentine media and bloggers publish more stories about the intimidation of demonstrators. As promised, President Macri immediately began to halt the trials of war criminals. Under what was known as the Process of National Reorganization, the junta that ruled Argentina from 1976 to 1983 waged a war against its own citizens. As a result, more than 30,000 Argentines, mostly those espousing leftist ideologies, were killed. A shocking chapter in that dirty war was the practice of «seizing» newborn infants to be given to the families of military officers or politicians who supported the junta. Usually the mothers were killed. The search for those children is still underway, conducted by the Mothers (now Grandmothers) of the Plaza de Mayo association. However, Macri’s supporters deride what these women do. There have been accusations that the association’s work has a «confrontational mindset», plus threats of prosecution for «pleas to disobey the authorities». From the first days of his presidency Macri has done all he can to express his gratitude to Grupo Clarín, the country’s largest media group, which provided him with a propaganda edge in his election campaign and acted as his primary financial backer. This is why all documents containing incriminating data on Grupo Clarín and its management were removed from government institutions by Macri’s personal order. In order to ensure Clarín’s dominance of the country’s media landscape, the functions of the federal agencies that oversee television and radio broadcasts are being reviewed, legal restrictions on media monopolies are being lifted, and various pretexts are being used to fire journalists who supported the policies of Cristina Fernández. The latest reprisal of this type was the dismissal of Victor Hugo Morales, a popular commentator who worked for Radio Continental. After his victory, Macri showed that journalist the door: the man has too much open admiration for Hugo Chávez and too much imprudently harsh criticism for the new agenda. Argentines are particularly focused on the new roster of names staffing the country’s management agencies. It is not a secret that some government appointments were recommended to Macri by the US administration, and he approved them with no questions asked. 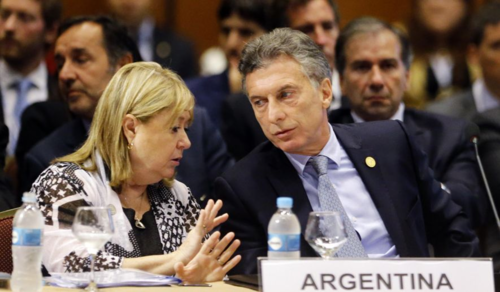 That is precisely how Susana Malcorra became Argentina’s minister of foreign affairs. The Americans have had their eye on her ever since her days at IBM Argentina. Later her career included high-level positions at the United Nations, including a stint as Ban Ki-moon’s chief of staff. Malcorra always maintained a constructive working relationship with the US Department of State, guiding American diplomats and intelligence agents into senior management and operational positions within the UN. Materials published by WikiLeaks provide copious evidence of Malcorra’s consistently positive responses to such approaches from the State Department. That is why Diosdado Cabello, who until recently headed the Venezuelan parliament, had this to say about her: «She was here, I received her in my office, she is the CIA itself». Venezuela’s leaders have sharply criticized statements made by Malcorra pertaining to the release of so-called political prisoners in Venezuela, whose provocative actions have caused the deaths of dozens of Venezuelans, including police officers and military servicemen. Malcorra believes the world’s most important powers to be the US and China. Her initial statements do not hold out much hope for progress in the relationship between Argentina and Russia – Russia always seems to take a back seat. Apparently Malcorra has wholeheartedly adopted Obama’s opinion that Russia is merely a regional power. Almost all of Macri’s ministerial appointees have a very close relationship with the US embassy. For example, Argentina’s Ministry of Security is headed by Patricia Bullrich. She was also recommended by Washington. Bullrich oversees the federal police, airport security, the National Gendarmerie (responsible for safeguarding the country’s borders as well as strategically important sites), and the Naval Prefecture (responsible for safeguarding the waterways). Bullrich will have to work actively with the US when creating plans to establish a special service to combat drug trafficking, set up a system of radar stations, and beef up the border patrol. Kirchner’s appointees are being systematically sacked from the security forces. Potentially disloyal police officers are being forced into retirement. According to the available information, «friendly intelligence services» will help fill the staffing vacuum. As part of his fierce battle against the Kirchners’ legacy, Macri views collaboration with the CIA, NSA, and DEA as critically important. Macri appointed Gustavo Arribas, an old friend whom he «trusts unconditionally» to head the Federal Intelligence Agency (AFI). Silvia Majdalani, a former MP and a member of the Republican Proposal Party (PRO), has been appointed deputy director of that intelligence agency. She handled security issues in parliament, completed coursework at the National Intelligence School, and received further training abroad, including in the US. In the past, Majdalani has more than once found herself at the epicenter of some serious scandals. For example, as an «unrecognized daughter» she tried to use forged documents to claim the multimillion-dollar estate of a man who had left no heirs. She was sentenced to three years in prison for fraud and would have served the full term if she had not been amnestied. Clearly Argentina’s intelligence services are now in safe hands. Marcos Molina Viamonte, a US citizen, was tapped to head the Legal and Technical Secretariat of the Presidency of the Argentine Republic. The president ignored the protests of Argentine professionals working in that field, who reminded him that under the law only a citizen of Argentina can hold that position, that Viamonte’s appointment is a threat to national security, and that the NSA will certainly use him to further its own interests. Laura Alonso will direct the Anti-Corruption Office, which is part of the Ministry of Justice. Although other members of Macri’s team do not advertise their «unofficial» ties to the US, Alonso speaks openly of hers. She is a member of the administrative council of the Argentine-North American Cultural Institute (ICANA). She has always been fixated on fighting corruption. This is why Alonso began working with the NGO Vital Voices, which is headquartered in the US. That NGO is dedicated to training a new generation of female leaders who can take charge of progressive, i.e., neoliberal, movements and ensure the promotion of «democratic values». In 2008, Hillary Clinton, who was then Secretary of State, presented Alonso with the Global Leadership award, thus guaranteeing her a very promising future. 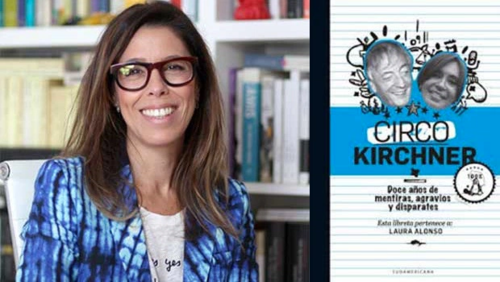 In October 2015, in the thick of the Argentine election campaign, Alonso published a book, titled Circo Kirchner («The Kirchner Circus»), which resembled a comic book but included quotations from the speeches of Néstor and Cristina that were carefully selected to paint an unflattering picture. The book was advertised through every media outlet owned by Grupo Clarín, which was a sign that it had been written to order. In numerous interviews Alonso has stated that she is searching for information on the «illegal enrichment» of the Kirchners and has spoken of her plans to fight «that family» that «is having an adverse effect on the country». The signals coming from President Macri and his team confirm their plans to politically «neutralize» Cristina Fernández, who has already announced her intention to return to politics in February in order to prevent the dismantling of the social and economic achievements of Kirchnerism. The dirtiest tactics will be used to compromise the former president. Horacio Verbitsky is an influential journalist who has warned of the very real prospect of trumped-up lawsuits being pursued against Cristina Fernández. Grupo Clarín has laid the groundwork, and its goal is to isolate the ex-president and split the ranks of her supporters. The attacks on Cristina Fernández will be launched from the Anti-Corruption Office. Laura Alonso is ready for this mission.